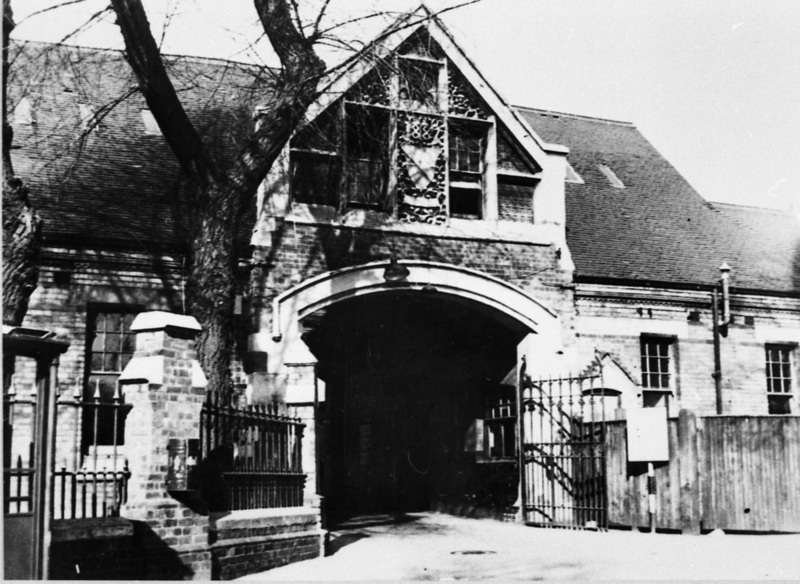 ARCHWAY OF TEARS "BIRMINGHAM UNION WORKHOUSE" Western Road , Brookfields. The Archway of Tears is still there, boarded up, when I last visited the site. There is a a fence all the way round the outside of the building where it now resides in the centre of a car park accessed from Western Road. Ted Rudge June 2015. We have recently met again with Graham and other Estates staff at the hospital regarding the Archway of Tears and we are now looking into sources of funding for an Options Appraisal and a Conservation Management Plan. This will also include a structural and condition survey so we will know the extent of the restoration required. Funding won't be easy to access in these constrained economic times and the building is unlisted but it's such a great place so we will keep asking! We need to make the building and its past attractive to funders and bring it to life for them so we are really keen to lay our hands on any information you might have about the social history - stories or photographs - of the place and the people who used it? Basically we are looking for anything we can include in bid submissions. Letters need to be addressed to me, Elizabeth Perkins, Trust Director at Birmingham Conservation Trust, 12th Floor, Alpha Tower, Suffolk Street, Queensway, Birmingham B1 1TU. 15/01/09 Carl Chinn had a meeting last week with the chief executive of the City Hospital and reps of Heritage Lottery Fund and Birmingham Conservation. They are now exploring various options re funding etc. Carl will let you know how things transpire. 27/11/08The chief executive of the Trust at City Road Hospital is setting up a meeting with Carl Chinn, Heritage Lottery and the Birmingham Conservation Trust early in the new year. He is keen to do something positive. Re your website about the archway of tears, I am very keen to try to save this and see it be turned into a workhouse museum. I dont have any photos but my great grandmother was born in this workhouse in 1879 as her father died whilst she was in there, some 2 months before the birth, making the family destitute. I have the death certificate marriage and also birth certificate and a photo of Nellie- birth certificate states aston workhouse municipal as it was then called ?. My Mum, her mother and her 2 brothers and sister were in the work house my Mum would have been 71 this year but passed away in 2001, she had a very hard life after her father left and the family ended up there. My mum went on to Father Hudson's homes with her sister and her brothers went to live in the cottage homes in Erdington. I have just found the website and have spent a while reading the comments. I was brought up in Clissold Street but when researching my father's family I found that his mother was born in the Workhouse. Not sure what I could do from New Zealand but I heartily agree that it should be preserved. Archway of tears SUPPORT 11/12/08 I think we should be able to sign a petition online to save the Archway of Tears. Demolishing it would be like forgeting the poor people who were incarcerated there. It would be a disgrace.There should be a register available to trace who was actually in there with dates etc.. I was born in New Spring St, Brookfields. I now live in Sheffield but frequently visit my family in Brum. I am interested in workhouses and am planning to visit the archway of tears - so I was saddened and cross to hear that it might be demolished. I think these places should be preserved as a monument to the people who spent miserable, humiliating years there - many of them after working hard all their lives as servants etc. I am a writer and singer/songwriter and wonder if there is anything I can do to promote the cause of saving this building. Maybe a fundraising concert or something, or I could write a song about it? I wish you well with it. 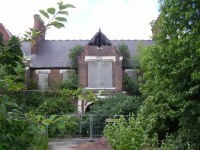 Too many of our old buildings in Birmingham have been lost to the bulldozer, we must save this one The Workhouse in the grounds of City Hospital, let me know if there is anything I can do to help save it. I have just discovered my 2xgrandmother ended her days at the Birmingham Workhouse at the great age of 83 in 1894. Although she thought she was in her 90s its taken me three years to track her down. She once lived near the workhouse in Farm Street and Northwood Street. We are losing our roots and even though these places were sad if they hadn't been there then some of our ancesters would have not recovered enough to have gone back in to the world and produced us. Tracing back my family tree, I found that my Grandmother together with my Great Grandmother and family went through the Archway of Tears on two occasions. It is a big part of our ancestry, however sad, and we have all worked so hard to find out more detail. As a result it has brought so many of us together. Three generations on, our family members can see this piece of our own history. If it is taken away, as so much is these days, we have nothing but photographs to pass on. If this applies to my family, it must also apply to so many others. The building is without doubt one of the most important modern inner city historical sites within Birmingham and MUST be preserved and restored for future generations to appreciate. I totally support your cause and would, if required, offer time and effort in raising awareness. I was shocked to see the recent photograph of the condition of the workhouse building and the "Archway of Tears". As a child in the fifties living on the Brookfields I remember it as Summerfield hospital? I think it was a geriatric hospital then and regarded with some dread. I thought that the commemorative plaque opened by Carl Chinn was a very fitting memorial to all those unfortunate souls who found themselves within those workhouse walls. Surely there is some way of preserving this piece of Birmingham's history and that of it's people? I will certainly support any campaign to save the building and I hope my comments will help. (Ted Rudge 07/07/07) I spoke to Carl Chinn and asked him if he knew what was the latest possition regarding the "Archway of Tears"
(Carl's reply 07/07/07) "The building belonged to the national health service and he had been in touch with them over many months to try and find out what was planned for the building. The reply from the NHS was nothing was planned due to lack of money." I am an old Brummie living in Tamworth now. I have seen what Tamworth Borough Council has done to this Ancient Town, covering it with concrete lumps. I am sure if our Castle could be sold and built on, it would be! I hate to think of similar happening to Brum. I don’t know what good this will do, but at least it is a bit of support, and who knows, if a campaign gets up and running, every comment might be important. 26/06/05 My book, Archway of Tears, is largely based around the area. Archway of tears SUPPORT 29/05/05 My family have a long history with Hockley (Ford Street) and with Dudley Road Hospital and I would like to support your cause to keep the 'Archway of Tears' workhouse building.